The new spring season is (slowly, but surely) bringing us more sun, nicer weather, gorgeous pastels, and.... a new Luxe Box! Yes, it's that time again— a specially curated box of goodies to bring on the new season. This season's box came packaged in the same sturdy box as previous seasons. I love re-purposing this box for storage— so handy! Opening the box, there were six (I'm including the shampoo / conditioner combo as one) products tucked inside the soft silk drawstring bag. I also love re-purposing this bag for travel— it's great to pack shoes in. 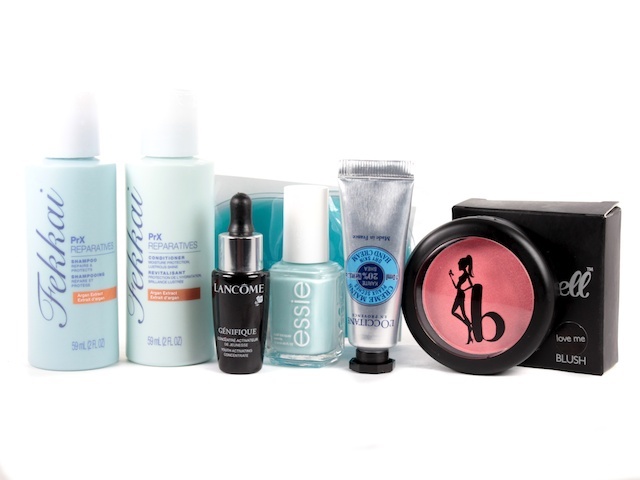 I have always enjoyed using Fekkai products (I've been using them since before they dropped the Frederic). 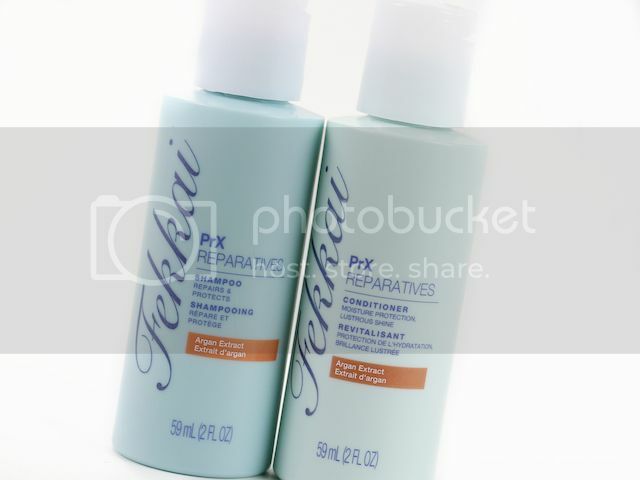 This spring Luxe Box contained two travel sized bottles of shampoo and conditioner from the PrX Reparatives line. I don't know about you, but my hair is in some serious need of TLC from winter. I can definitely appreciate the Argan extract infused in this combo— my hair is eating it up. I love the scent, too! 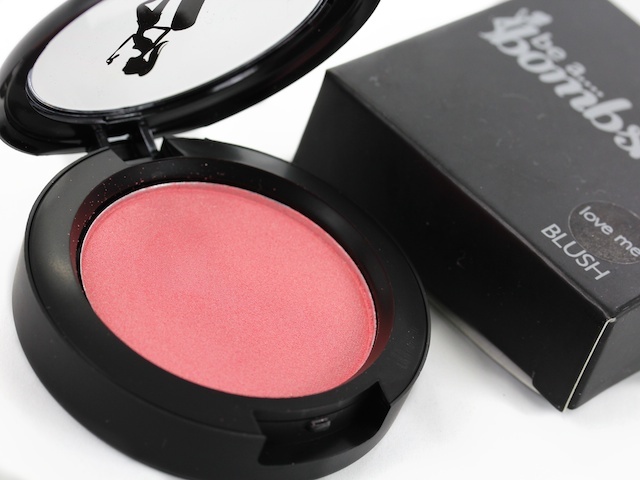 This box is also feeding my obsession with blush with the Be a Bombshell blush in Love Me. It's a beautiful sheer pink with a bit of shimmer. I have been layering it with a matte counterpart for a luminous effect and it's gorgeous. While it is shimmery, it isn't incredibly pigmented, so the shimmer is subtle on the cheeks. I think we all know how much I love Essie Mint Candy Apple. Even though this new bottle is a bit more on the "Robin's Egg blue" than it is "mint," I still love the colour. It's a great pop of spring on the nails. 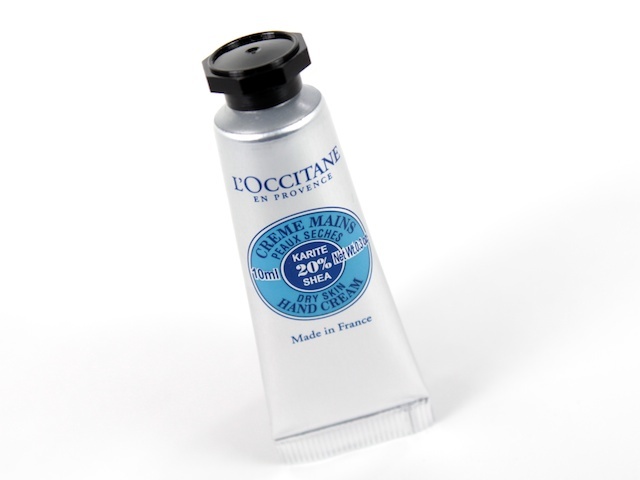 Dry hands are a way of life for me these days, so I cannot get enough of this L'Occitane hand creme. I've actually almost finished it up, so a repurchase is definitely in order. The shea butter in this smells so good! Plus, it's leaves my hands feeling silky and smooth. 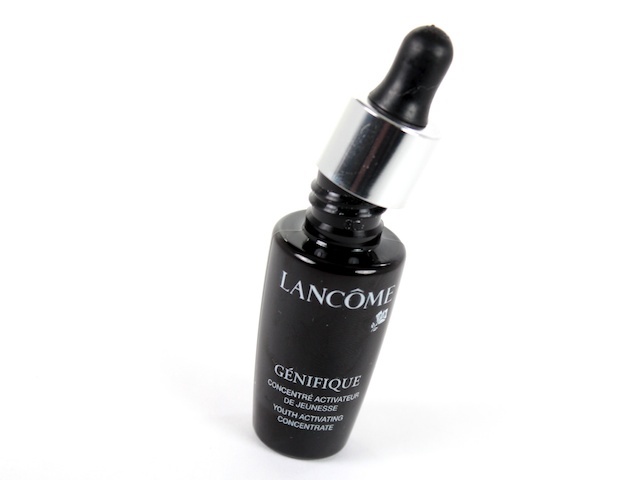 I love Lancome's Genifique Concentrate. It's definitely in my Top 5 "Big Girl" face serums. It's lightweight and absorbs quickly into the skin. I typically use it at night, but it's also notable to mention that it sits well under makeup, too. 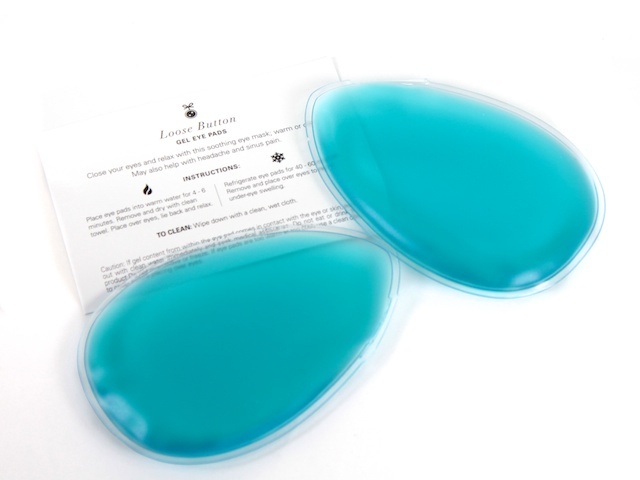 These Loose Button Gel Eye Pads are wonderful. You can use them warm or cool but I've been doing the latter. You can pop them in the fridge for 40-60 minutes... or if you're like me, leave them in there overnight because you forgot about them. Place them over your eyes in the morning (or night) and get ready for a cooling, relaxing, spa-like time. They're great for the morning after those late nights when your eyes are feeling a bit puffy. Did you get a Spring Luxe Box? What products did you enjoy the most? I think my two favourite products in this season's Luxe Box are the blush and the gel eye pads. (*) This Spring Luxe Box was sent to Stylish & Literate for consideration. See disclosure here. The L'Occitane hand cream is awesome - I always have some on me. Such goodies in this box! This looks like 1 heck of a subscription box!